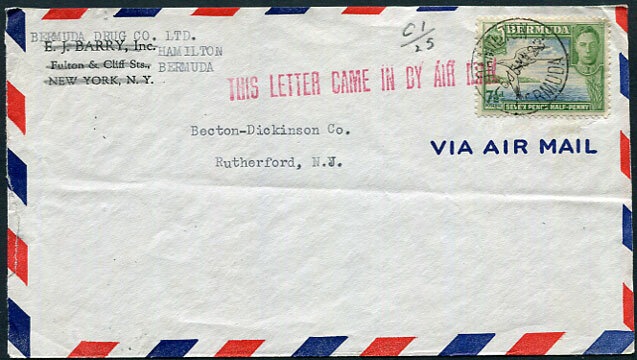 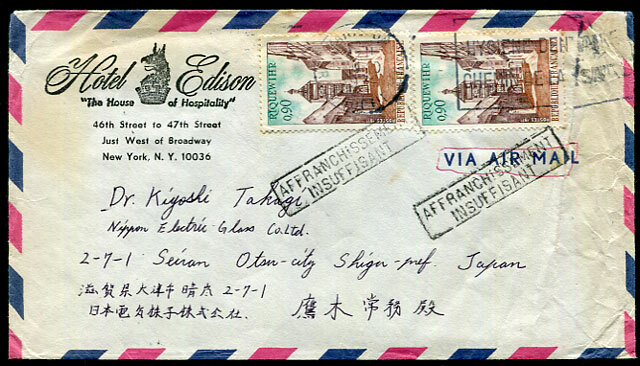 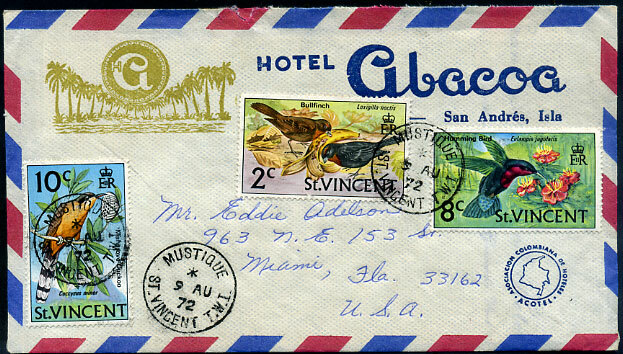 1942 envelope used elsewhere (New York printed changed Bermuda typewritten) to Rutherford, New Jersey with airmail rate KG6 7½d pmk'd HAMILTON 5 JUN 42, most unusually handstruck red "THIS LETTER CAME IN BY AIRMAIL", no backstamps, commercial as opened 3 sides. 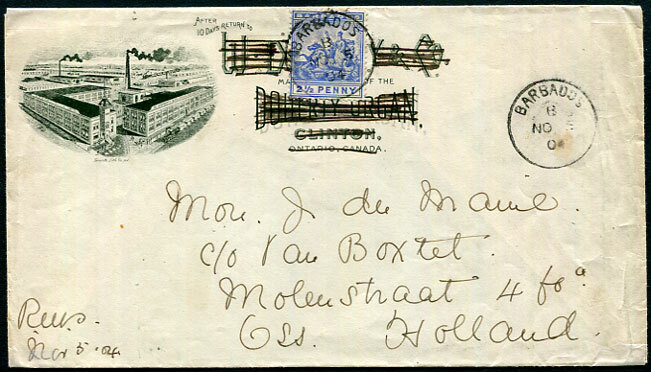 1904 "W. DOHERTY & Co, DOHERTY ORGAN, CLINTON, ONTARIO, CANADA" cover used with Barbados 2½d Seal pmk'd B/NO 5 04 to Oss, Holland. 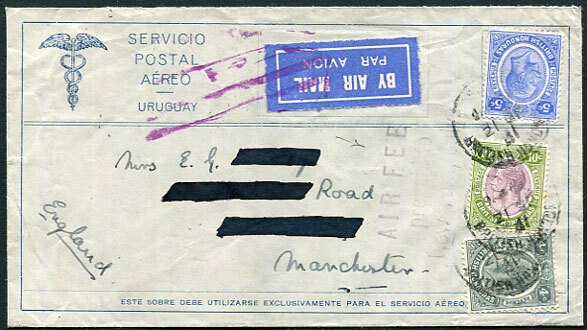 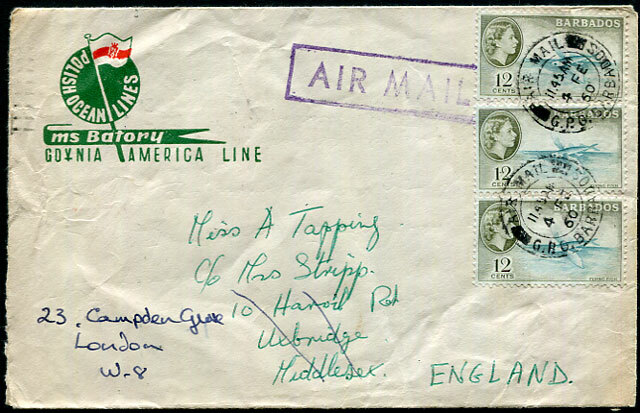 1931 cover to Manchester, England with KGV 4c, 5c, 10c pmk'd Belize 21 SP 31 with 3-line purplish "AIR FEE/prepaid to/New York only" and Air Mail sticker deleted by mauve jusqu'a bars, part recipients name blacked out. 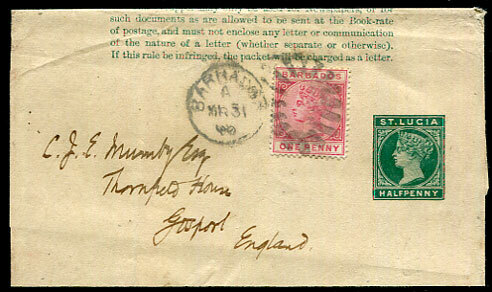 Stated to have been posted by one of H.M. Cruisers from Belize when the ship was sent to assist the inhabitants after the disastrous hurricane which struck on the afternoon of 10 September 1931.